Stunning brusho monoprint! I thought the flowers were gold embossed or die cut, they have so much dimension! Love this! Now, what will you do with the positive stenciled panel...? What an amazing design!!! I love the background you created! The colors are gorgeous and the smaller size of the focal piece is very important! Great use of the brushos for the stencil monoprint - I must try that. And a good idea to then sponge colour through the stencil for the actual wildflowers. 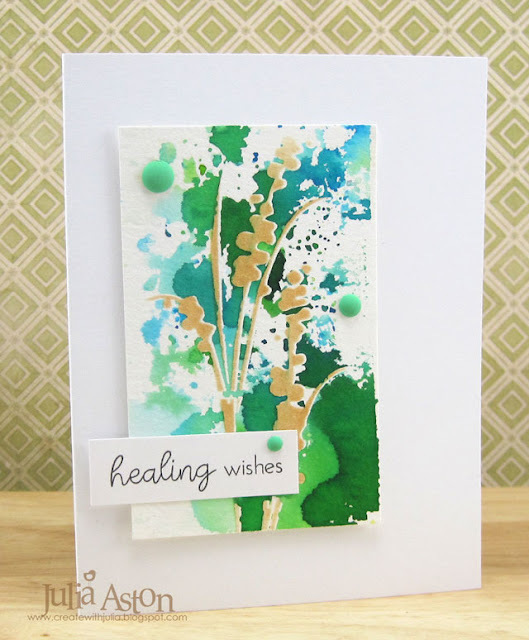 A lovely card! Great effect with the fun technique and gorgeous colours. Love how you popped the stencil back on to blend the ink through it and made the flower stems stand out so beautifully x. 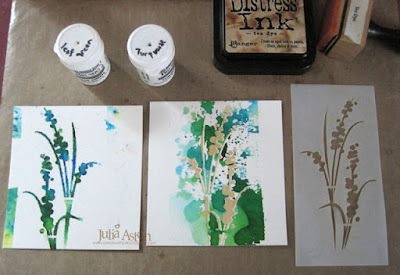 You've achieved two very different looks with this stencil, Julia! 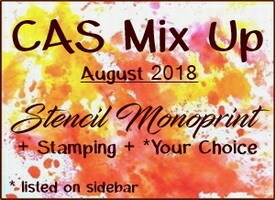 Love the bright, vivid colors and how you've sponged over the stencil to color the flower on the monoprint piece! Very clever! Wow... I love this! The effect you captured in that background is fantastic and your color choices are really lovely. Thanks for playing with us at Inkspirational! Echoing the others in being dazzled by your gorgeous background and lovely flowers. Artsy awesome! 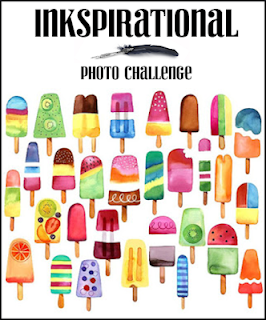 So thrilled to see your creativity in the Inkspirational gallery!